Passive resistance won't help you now. 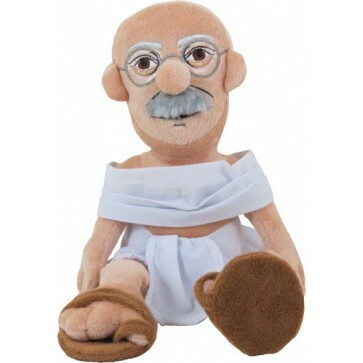 As much as you try, our Gandhi Little Thinker Doll is so cute you're gonna have to get one. Though just 11 inches tall, we tried to give our little Mohandas Gandhi the stature and dignity of Mahatma himself. In his humble loincloth, shawl, sandals, and trademark glasses, Gandhi is ready to fight oppression and injustice, be it in Punjab or the playground. Namaste!